Ganoderma Lucidium mycelium cultivate on spent coffee ground from Montreal, Quebec, Canada. 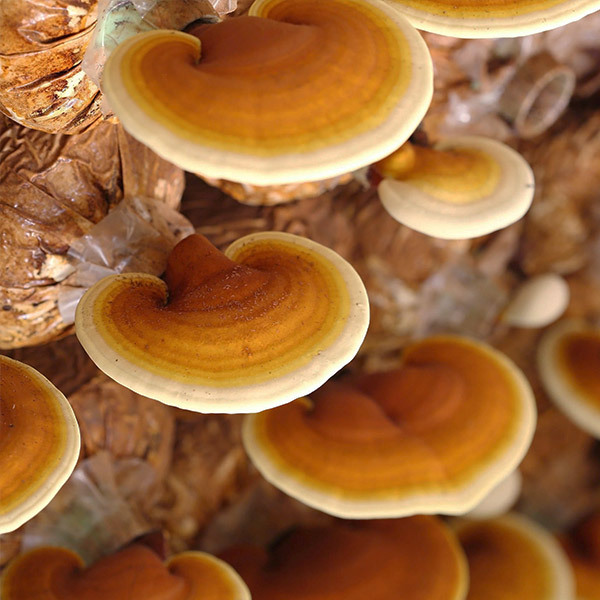 Discover this medicinal mushroom, one of the highest source of nutrients for your decoctions. The perfect beginner's choice! This kit allows you to ease your experience of growing this medicinal mushroom from upcycled coffee grounds. Simple as Open, Spray, Pick. Produced respecting the environment and the health of human beings, our kits are entirely free from fertilizers and pesticides. Harvest your first Reishi mushroom flush within 2 to 4 weeks. Will produce about 150g of gourmet mushrooms every time, 3 flushes in a row.